Facades of residential and tertiary buildings offer enough space for daylight control and HVAC (heating, ventilation and air conditioning) systems. Active envelope solutions include facade-integrated solar thermal collectors, PV panels, daylight control systems or panels containing ventilation units with heat recovery and/or a heat pump with all necessary connectors. Optimising their performance and building integration has been one of the main objectives of an international research programme called Building Integrated Solar Envelope Systems for HVAC and Lighting, also known as Task 56 of the IEA Solar Heating and Cooling Programme. The photo shows the around 20 task experts who met at Eindhoven University of Technology, Netherlands, on 21–22 September. “In Task 56, we will develop algorithms to map the impact of facade-integrated HVAC and lighting components on heating, cooling and light use,” said Fabian Ochs, Researcher from the University of Innsbruck’s Unit for Energy Efficient Building in Austria. In a second step, these algorithms are planned to be incorporated into available simulation tools. Two cooperation partners are the developers of DALEC – Daylight and Artificial Light with Energy Calculation and the PHPP – Passive House Planning Package. “It´s a great chance to cooperate closely with universities in Task 56 to complement and test DALEC with new daylight control systems,” explained Dr David Geisler-Moroder, Research Project Manager at Austrian-based Bartenbach. In a joint effort with the Austrian company Zumtobel and the University of Innsbruck, it launched DALEC in 2014. The freeware supports building designers and architects in early planning when they are about to decide on daylight solutions and interior lighting. Climate data is used to simulate daylighting and electric lighting as well as heating and cooling demand in a building in just a few seconds. 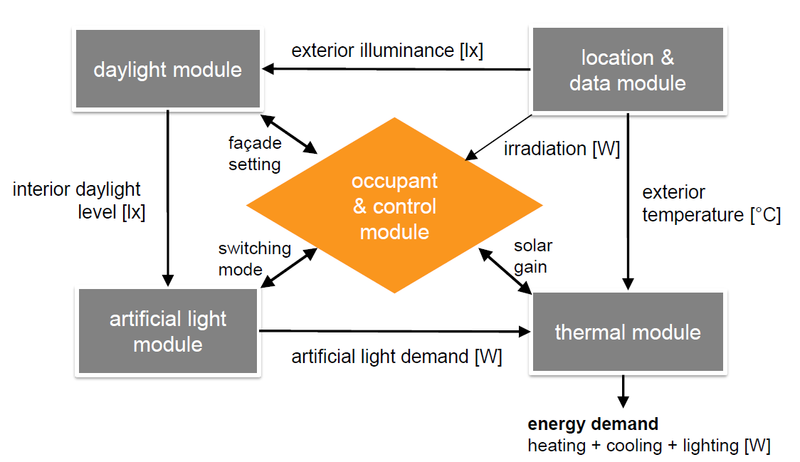 This simulation not only considers energy requirements, but also consumption patterns (e.g., glare protection) and visual and thermal comfort (see orange-coloured rhombus in the diagram below). A new software release is scheduled for October and will allow the user to include specific artificial lighting solutions, to compare up to four design options and to improve the analysis of visual and thermal properties. “We’re cooperating with several developers to incorporate modules on complex facade elements into their simulation tools, because they all have a different focus,” said Ochs. For example, DALEC’s primary goal is to help planners enhance the daylight design of office buildings and heat demand is simulated by using a simple analysis function based on EN ISO 13790. However, PHPP, a tool for extremely efficient newbuilds (PH standard) and comprehensive renovation (EnerPHit), concentrates on the yearly heating and cooling balance of passive houses. It contains simplified algorithms which factor in heat pump, solar thermal and PV output and electricity demand for light sources. Tomas Mikeska from the German Passive House Institute said that the latest version, PHPP 9, came with a separate worksheet to compare the economic feasibility of several design choices and consider more of the world’s climate zones. As part of the task’s work, improvements could be made to the algorithms for heat pumps, solar thermal and PV panels based on results from detailed dynamic simulations. “Together with tool developers, we’re looking for modules to include heating and cooling technology when simulating the building envelope,” said Ochs. One new development is a combination of facade elements and heat pumps. These components interact with PV modules and lead to varied on-site solar power consumption. 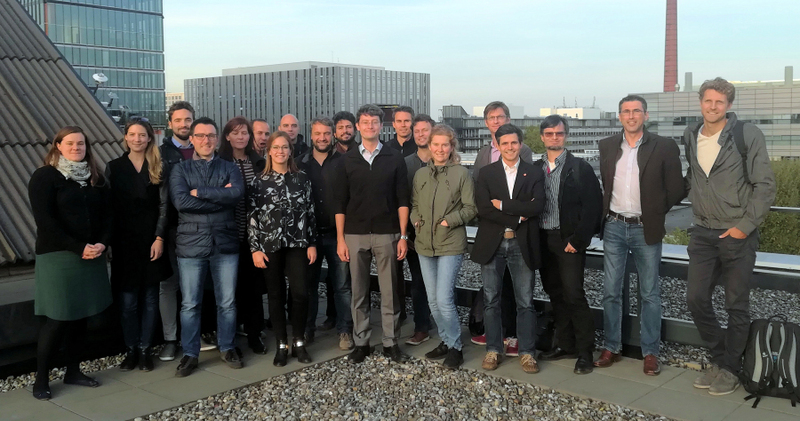 The intensive cooperation between scientists, software developers and service providers is one of the most fruitful aspects of global research within the IEA Solar Heating and Cooling programme.